First Sentence: The Almost Home, the bar and grill at 2nd and Middleton, was not an old building or a new building, it was somewhere in between—built quick and sturdy, gray brick, steel trim, the type of place you’d overlook if it wasn’t smack-dab in the middle of Cherry Creek, Denver’s affluent shopping district. 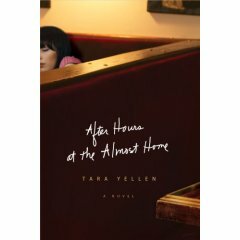 Tara Yellen’s After Hours at the Almost Home is a day in the life type novel, set in the Almost Home Bar and Grill in Denver, Colorado. It is a cold and snowy day in January, Super Bowl Sunday as a matter of fact, and the Almost Home is jam-packed with customers from all walks of life, including the down and out regulars like India, a storyteller who can tell your fortune. Business is hopping when young JJ begins her first shift. She is immediately caught up in the whirlwind of the bustling restaurant, trying to keep everything straight, at times failing miserably. This is a fresh start for the young woman, however, and she is determined to make it work and to fit in. Understaffed and dealing with the hole the bartender created when she walked out unannounced and an inexperienced trainee on the floor, the wait staff at the Almost Home are struggling as best they can on one of the busiest days of the year. Amidst the hustle and bustle, the loud voices, the game in the background, the orders coming in and being delivered to the tables, Tara Yellen transports the reader into the middle of that bar and grill where it all comes to life. When the customers are gone and the last of the closing chores are done, the wait staff are able to relax and unwind after a hard day and night of work. Bit by bit, the author introduces the reader to the characters, peeling back the layers of their lives as they work, interact with each other and recall snatches of their past. The characters are ordinary people with every day hopes and fears, always wishing and dreaming for something more. The staff seem in their element while working, at the same time trying to forget their realities for a short while but never quite succeeding. A cloud of loneliness and heartache hangs over each of them. They hurt each other, love each other and are almost always drawn to each other. There is Colleen, a widow struggling to come to terms with the death of her husband two years ago, and Colleen’s fourteen year old daughter, Lily, the most vulnerable of all and yet also one of the strongest, who is much too grown up and yet still very naive, wanting only to get out and away. There is Lena who likes to take charge and puts on airs of a confidence she does not really possess; Keith, who longs for something different and wears his heart on his sleeve; Denny who is down and out on love, always the cool one; and Marna, a free spirit, who is ever present in the Almost Home, even when she is not really there at all. Tara Yellen breathes life into her characters, capturing their doubts, fears and hopes. At some point in our lives, haven’t most of us felt exhausted of life, surviving as best we can, wanting and wishing for more? The Almost Home is almost home for many of the characters. Their coworkers are their family. I could not help but feel a part of the family too as I reached the last page of the novel. Tara Yellen is a talented writer. After Hours at the Almost Home is not without its disturbing moments nor is it a happy story. It is a day in the life story about ordinary people struggling to get by, disappointed with life and yet hoping for more. Originally published at Front Street Reviews. This one sounds really good. I'm putting it on my wish list right now. Thanks for the review. Great review, Wendy. As always. I don't think I've heard of this author or the book before but it sounds good so I'll have to keep an eye out for it. This sounds like my kind of book - thanks for bringing it to my attention! I like a book that doesn't have a happy ending. It's not so predictable. i'll definitely have to look for this one! Thanks for your well-written review! I love this kind of book. It really shows the humanity of ordinary people. Great review! I wanted to send you an email so my post doesn't look like spam, but I couldn't find such a functionality on your web page. I just linknd to your Almost Home review from www.literaryagenda.com/blogs/ in the Blogger's Book Review section. Lynne - I enjoyed it quite a bit. It's definitely more of a character study type novel when it comes right down to it. I hope you will enjoy it. Illiana - I think this is the author's first book. Florinda - If you do read it, I hope you will like it! Linda - Thank you! I appreciate different types of endings too. Some stories just aren't meant to end happily ever or even with every loose string tied off. Melody - Thanks! I wasn't quite sure what to expect with it, but I did like it quite a bit as you can see. Jaimie - Thanks! There was on scene in particular that was quite disturbing, and I think it might turn people off of the book once they get to it. Unfortunately, it's near the end so I can't say what exactly it is. Anca - Thank you for linking my review! You can actually send me an e-mail by going through my blogger profile, if it makes it easier. I'm particularly attracted to books like this and this is going into my wishlist. Thanks for the great review, Wendy! 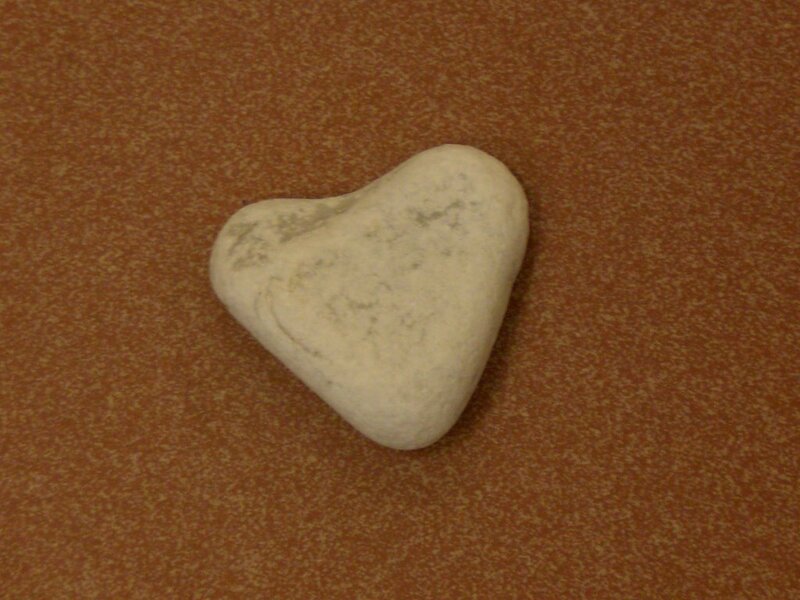 Have a lovely weekend. Thank you, Alice. 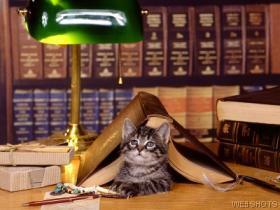 I hope you will like the book when you get to it. Have a good weekend! Sounds like a good curled up in bed on a rainy Saturday type book. I read Dinner at the Homesick Restaurant last year and hated it, but this one sounds more personable. I don't think that's the word I'm looking for, but do you know what I mean? Trish - I do think I know what you mean. The characters in this one definitely had their own quirks, and none were the type of people I'd want to call my best friend, but it was interesting to step into their lives for a short while.